Also known as law office managers, law office administrators, or legal assistant managers, legal administrators oversee many of the day-to-day operations of the law office. A "second boss" to the paralegals in your office, this person may be every bit as important to the success of your internship as your supervising attorney. Firms hire legal administrators to bring in strong business and organizational skills that lawyers often lack and do not have time to develop. Legal administrators take direction from the managing partners, so they wield considerable power and influence in the law office hierarchy. They are not usually law-school-trained and may never have practiced law. Often they have a prior background in an unrelated business setting such as a corporate personnel department. Sometimes they are former paralegals who have moved up to this position, perhaps after acquiring an advanced degree. Typically, legal administrators screen new hires, carry out employment procedures and policies, and-most important to the paralegal intern- assign work to support staff. Newcomers are sometimes surprised to learn that, in many law offices, it is the legal administrator, rather than an attorney, who decides which paralegal (or intern) gets assigned to which projects. If this is the practice in your office, you must get the legal administrator's approval if you want certain assignments. It also means that the legal administrator must be treated with the same respect normally reserved for one's boss, because that is exactly what he or she is. If a legal administrator helped select you for this internship, then the legal administrator will probably play a role in your evaluation as well, perhaps equal to that of your supervising attorney or paralegal. Therefore, you must keep this person informed of your achievements and successes along the way. Also, let your legal administrator know of any logistical difficulties you are unable to resolve on your own. As with your supervising attorney or paralegal, try to communicate with your legal administrator at least weekly-either in person or in a short memo-about your progress, your accomplishments, and your changing needs. As with any supervisor, keep these communications courteous, serious, and businesslike. This person may have considerable influence on your job search in the future. As a general rule, only a lawyer can make decisions about the content of legal work being prepared for a client. For questions on how to proceed with law-related tasks that are assigned to you, check with your supervising attorney or supervising paralegal. A legal administrator may be authorized to decide what assignments are given to you. To request new or different assignments, try checking informally with the attorney in charge of the project to see whether he or she is even willing to supervise such an assignment. With that attorney's agreement, approach the legal administrator with your request. Do not appear to sidestep the administrator's authority. Make it clear you understand the need for the administrator's approval and that there may be larger scheduling issues to be considered. Take time to help your administrator understand the reasons for any request. Make your reasons objective rather than personal. For example, cite your agreed-upon internship goals rather than personal preferences. When in doubt, ask who is in charge of a particular issue. Begin with the person who seems closest to it. A legal administrator can also be very helpful in devising a solution to conflicts with law clerks or others when you have been unable to resolve such problems on your own. Report an administrator's actions to the internship director at your school only if a major, agreed-upon internship goal is being seriously thwarted. Legal administrators from different offices in your region usually know each other personally. They check with each other about the work histories of job candidates. They may attend local and national meetings of the Association of Legal Administrators (ALA), the Legal Assistant Managers Association (LAMA), or similar groups in which they share experiences and information. Consequently, your reputation with one administrator may become your reputation among many. Do everything you can to make this relationship a strong alliance for the future. No one is a more natural ally in the office than a paralegal coworker. Experienced paralegals are your most valuable role models and the people from whom you will probably learn the most. Do seek out their guidance as often as you can without infringing too greatly on their time. These are also the professionals to whom you may be able to relate on a social level, as long as you keep it fairly businesslike. Consider inviting them to join you during your lunch hour or coffee break. They, too, may welcome the chance to socialize. In most areas, paralegals tend to know each other either from prior work experience or from paralegal association meetings. Consequently, they are often the first to know of upcoming paralegal job openings. Making a favorable impression on your paralegal coworkers often has the same advantages as favorably impressing lawyers and others. Do not limit your contacts to paralegals in your own office. Get to know paralegals at neighboring offices as well. Attend local paralegal association meetings. Volunteer to work with other paralegals on one of the association's projects. Take a copy of your resume with you to meetings in case some interest is expressed in your background. Find out other paralegals' viewpoints on their work and on future career prospects. Widen your network for additional role models and more numerous sources of future job news. In larger offices, paralegals may have a hierarchy of their own. Beginning paralegals may be called "document clerks." More experienced paralegals may have another title along with more challenging responsibilities. Interns should try to observe workers at each level and learn as much as possible about what these distinctions entail. Higher-ranking paralegals may also expect a degree of deference from those at less experienced levels. The intern should be sensitive to this possibility. Sometimes, an intern's immediate supervisor is a paralegal. If this is your situation, you should count yourself as very fortunate. You are being taught by someone who knows-probably better than anyone else in the office- what being a paralegal really is all about. You have an experienced role model virtually all to yourself. Take full advantage of this special relationship and do not hesitate to show your gratitude often. The best advice that can be given about legal secretaries is this: never assume a secretary knows less than you about any subject. Do assume that, in many situations, the secretary may actually know quite a bit more. New paralegals need to understand mat many legal secretaries have already been doing paralegal-level work for years, but without the benefit of the proper job title (and perhaps also without appropriate pay). Even if they are not doing paralegal work, they may know more about nitty-gritty procedural details than almost anyone else. They may also know more about what is happening in the office than some managing partners! Perhaps because they work for so many in the office, the legal secretary is an informational gold mine to be treasured. For example, this is the person to see for assistance when no paralegal or attorney is available, such as to help you locate samples when you are drafting a document for the first time. It is the secretary who probably knows where your supervising attorney is and when he or she will be back. When you get to know this person well enough, the secretary may also be the one to fill you in on the idiosyncrasies of coworkers you have had trouble understanding. The legal secretary is the person on whom many interns depend to process their documents quickly, file them properly, or mail them out on time. This is someone who can save interns from embarrassment by catching drafting errors and other mistakes while they are still correctable. Many times, this is also someone who can relieve the day's tensions by making you laugh. If you are lucky enough to have the services of a secretary, you will probably be sharing those services with others in the office. 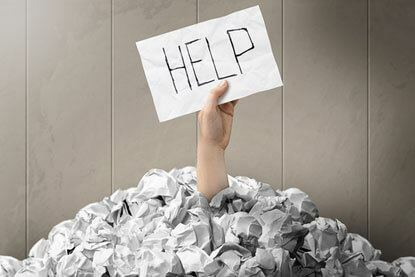 Know that yours is not the only work waiting to be processed and mat the secretary's workload may be quite heavy. To help ensure the cooperation you want, routinely ask how much lead time the secretary needs to fit your work in with other projects that are waiting. Alert the secretary several days in advance of an unusually large project. Accommodate the secretary's workload as best you can. If faced with a rare instance in which conflict resolution fails, discreetly share the problem with your attorney or paralegal supervisor in a neutral, factual manner. Ask for his or her advice in dealing with it. If there is an office administrator, you can share the problem with this person in the same neutral, factual manner and ask for suggestions. If all else fails, submit your work to your supervisor in the form it would normally be presented to the secretary-untyped or unprocessed-and let the supervisor assign it to a secretary for processing. But save this as a last resort; it could cause further conflict and hard feelings in the future. Never condescend or "talk down" to secretaries. Treat them as professional equals. Cultivate the secretary's friendship as perhaps the most essential person in the office, without whom no other worker would survive professionally. Search Law Intern job listings on LawCrossing. LawCrossing is the only site that provides service and satisfaction to the customer at the same time. LawCrossing Fact #218: We always list jobs that come directly from employers first.